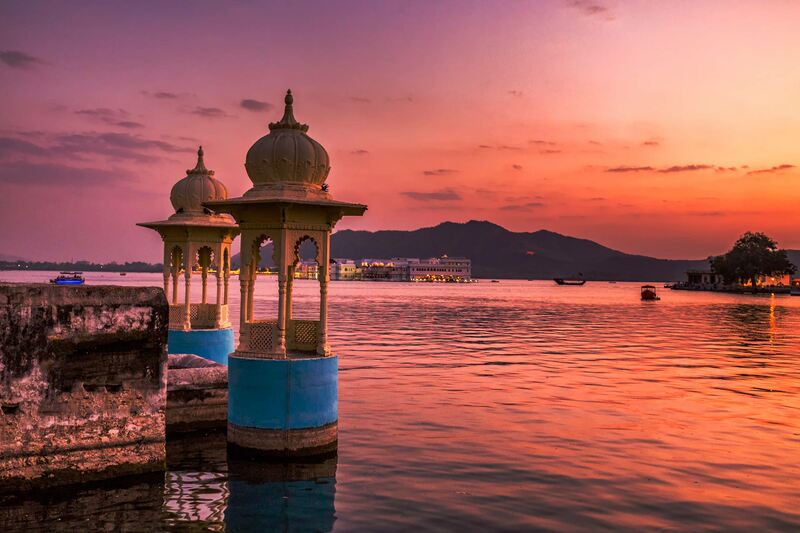 Day 1 Udaipur: On arrival at Udaipur airport you will be met and transferred to your hotel, the iconic Taj Lake Palace which is perched delicately on an island in the middle of Lake Pichola. Day 2 Udaipur: Today you will have time to relax and enjoy the enchanting setting of the Taj Lake Palace as well as see Udaipur's main attractions during a guided sightseeing tour. Highlights include the imposing City Palace, which towers over the lake and features balconies, domes and arches along with a marvellous assortment of courtyards, pavilions, rooms and hanging gardens. You'll also see the Crystal Gallery museums, Saheliyon Ki Bari gardens which hug the shoreline of Lake Fateh Sagar and in the evening enjoy a shared boat cruise on Lake Pichola. Day 3 Udaipur: Morning at leisure. Transfer to the airport for your onward journey. This expansive white marble palace was built as a summer retreat in the 18th century and today offers a unique blend of serenity and opulence. Within its four acres of graceful courtyards, pavilions and gardens there are 83 luxurious rooms adorned with elegant artefacts, fine silks and ornate furniture. The hotel also boasts a lakeside pool, spa, yoga, tennis, mini golf and a gym. Sublime cuisine is complemented by a choice of dining locations: by the lily pond, poolside or on the rooftoo. Accommodation: In luxury lake view rooms at Taj Lake Palace with air-conditioning, bath and separate shower, mini bar and safe. Tour price: The price shown is based on the best value travel dates in low season and includes return private transfers between the airport and hotel, 2 nights accommodation and sightseeing as outlined.